Duldig Studio is committed to making the collection available for bona fide researchers in accord with the ICOM Code of Ethics for Museums. View our Research Policy. Duldig Studio is a great place to visit with friends and be surrounded by art. Our collection is of national significance. Sculptures in bronze, stone and terracotta are beautifully displayed in the otherwise typical Australian suburban Californian Bungalow style house and garden. Visiting the museum and hearing the stories of Karl Duldig and Slawa Horowitz-Duldig and seeing the extraordinary body of work displayed is inspiring and thought provoking. This extensive collection comprises works of art including sculpture in a variety of media including wood, terracotta, bronze and marble, drawings and paintings on paper and canvas and an important collection of hand crafted pottery. 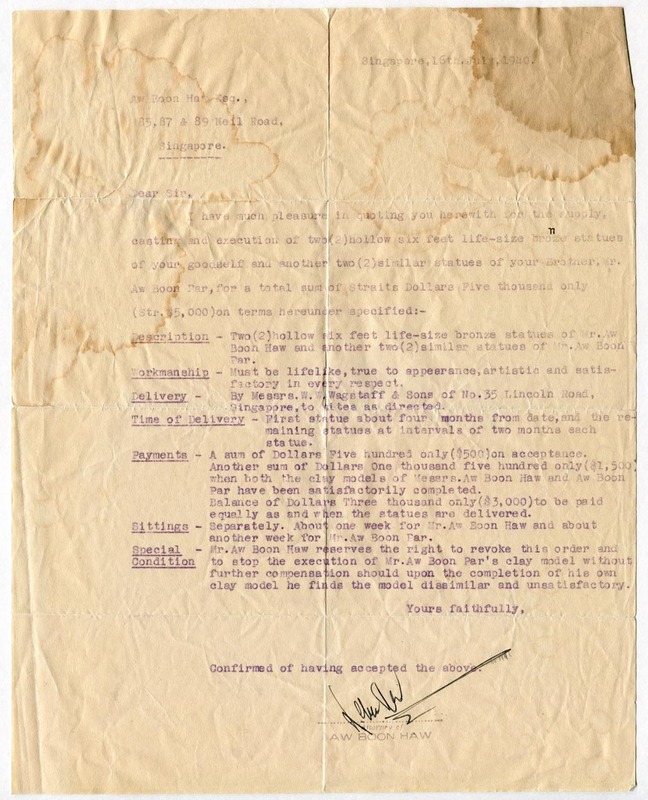 There is also a substantial collection of archival material detailing the family’s history in Europe, Singapore and Australia, including documents, letters and photos. 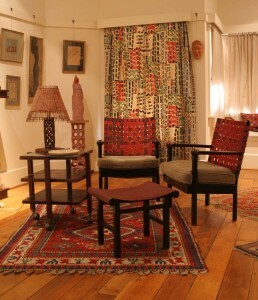 Decorative arts include the original furniture and soft furnishings from the Duldig apartment in Vienna. 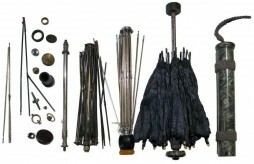 The survival of these Viennese items during the Second World War, and their arrival intact in Australia, is a significant aspect of the collection. These and other family items remain in the house as they were at the time Karl, Slawa and Eva lived there – the tangible heritage of this artistic family. 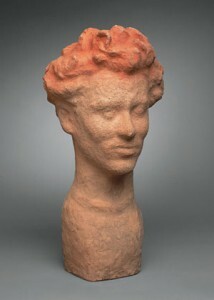 The Studio’s Curator and Sculptor in Residence, Stefan Damschke, was a student of Karl Duldig. Stefan worked alongside Karl in his Studio, and was his assistant in Karl’s later years. In addition to curatorial duties he continues to teach students using clay modelling methods favoured by Karl, representing the continuing intangible cultural heritage of teaching and creativity at the museum as an extension of the collection and artists' studio. Interpretation of the collection centres around its significance in Australian social history and fine arts, ongoing Duldig family associations and living memories and the collection's rare domestic setting in a house museum. View Significance Statements on Victorian Collections! For collection security, CCTV cameras monitor the Museum at all times. The works of art, furnishings, documents and photos in the collection from the period c1902 - 1938 provide a vivid record of Viennese cultural life and the life of two Austrian artists. Karl was considered, ‘the most promising young sculptor in Austria for 50 years’ (Anton Hanak). Hanak was Karl Duldig’s teacher, and a member of the Secessionist art movement which aimed to break from the neo-baroque historicist style dominant at that time. Karl’s work from this period reflects these new influences and the move towards a modernist aesthetic. 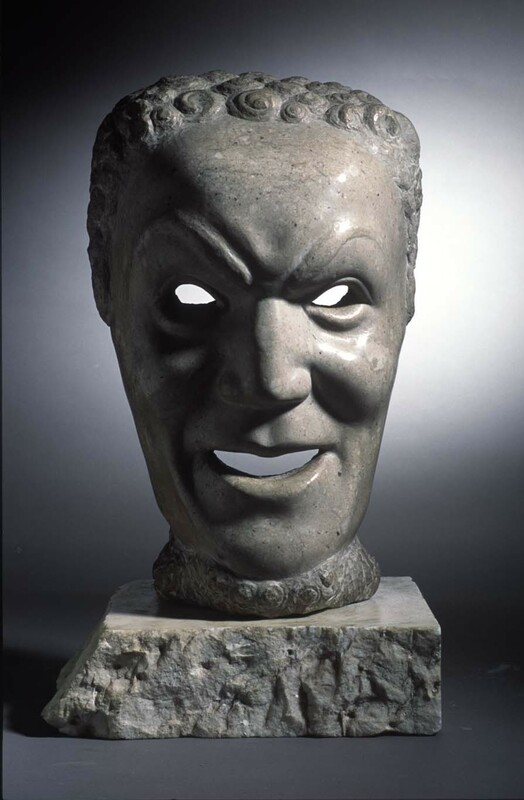 The Studio holds works such as Duldig’s student work, Mask,1921, marble which was selected for international exhibition in Munich in 1925, and received critical acclaim. Mask was exhibited in the National Gallery of Victoria exhibition Vienna: Art and Design in 2011 and was the only work sourced from local collections. 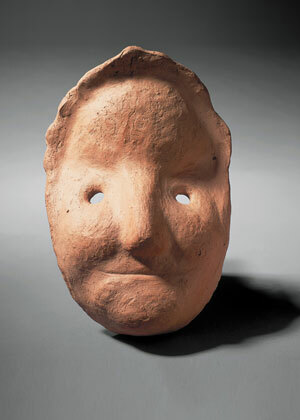 It is part of a significant group of sculptures, stone figures, masks and drawings by Duldig, Hanak and other students at the Kunstgewerbeschule held by the Studio. The furniture from the Viennese apartment which is a feature of the museum was made by the firm set up by Sigmund Jaray, Kunstmöbelfabrik Jaray in Vienna. Commissioned by Slawa to make furniture for their apartment to her designs, these items include sitting room chairs, stools, a coffee table, serving table and an elaborate bookcase. The bedroom suite includes a double bed, a day bed, bedside furniture and a wardrobe. Slawa used the royalties from her invention of a new version of a folding umbrella, Flirt, to pay for this furniture. Showing a preference for the contemporary designers, she chose a textile, ‘Falter (Butterfly)’ for the bedspread, a remnant piece of which remains in the collection, created for the Wiener Werkstätte (Vienna Workshop) by the designer Mathilde Flögl. This design workshop applied Secessionist ideas to the manufacture of high quality goods applying strong design principles to everyday objects within the home. The Wiener Werkstätte, like the Secession, strove for a complete work of art, an artwork which could encompass not just a room, but a house. Equally extraordinarily is the survival of these suites of furniture (and artworks) through the war, and their presence in Australia. The Duldig Studio holds prototypes of the remarkable folding umbrella called ‘Flirt’ invented by Slawa Horowitz- Duldig, in 1928, and patented in 1929. While foldable umbrellas were known, Slawa’s invention was an improved compact version. Slawa’s successful invention was owned by her and produced by the Austrian manufacturers Brüder Wüster for 9 years, until, in 1938, following the annexation of Austria by Nazi Germany (the Anschluss) she, Karl and her baby daughter Eva fled Vienna forever. In 1939 as a Jewish non-resident she was forced to sell her patent to the firm which had produced it. The Duldig Studio holds her original designs, a number of these prototypes as well as patent documents and letters associated with its sale. A prototype is also held by the Museum of Applied Arts and Sciences, Sydney. Learn more about Slawa's umbrella invention from the Austrian Embassy Washington! The collection vividly reflects the experience of those who fled Europe following the rise of Nazism in the 1930s. By the time the family settled in Melbourne, they had lived on three continents, and five different countries. Karl’s art reflects the impact of these changes – both positive and negative, and gives significant insight into the artistic process and the impact of the migration experience on creativity. In 1939 the family travelled from Switzerland to Singapore and their the family achieved success. Malay Boy , bronze, reflects Karl's enthusiasm for his new exotic environment and the adoption of new methods and materials. 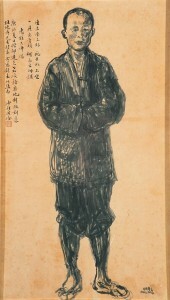 The Singapore Art Museum holds the original 1940 cast of this portrait bust. The Duldig collection holds works of art, photographs and documents which are a significant record of the cultural life of Straits Settlements society at this time such as the original Contract for the Aw Boon Haw and Aw Boon Par bronze sculptures, Singapore, 16 July 1940 and two ink drawings of The monk Guangqia, seated and standing, c.1940 brush and ink on paper. 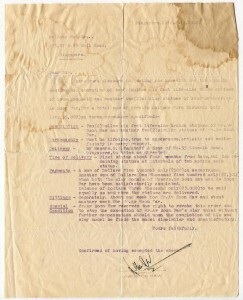 In 1940 the family was interned as 'enemy aliens' and sent to a camp at Tatura in country Victoria. 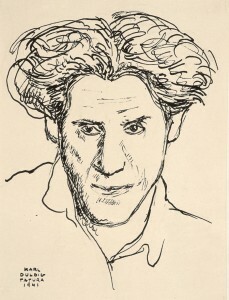 The collection of Tatura internment drawings, such as Self Portrait,1941, pen and ink completed in Tatura stand alongside the internment works of other refugee artists, such as Ludwig Hirschfeld Mack (also interned in Tatura) as adding to our understanding of the social history of this period and how artists deal with such dislocation and difficulty. The bust of Captain Edward Renata (Tip) Broughton, 1942 plaster (a bronze of which is in the Australian War Memorial) and the associated documents reference Karl’s period of Army service, an experience he shared with many other refugees, including those sent to Australia aboard the infamous HMT Dunera in 1940 many of whom later made such a significant contribution to Australia’s intellectual and cultural life. 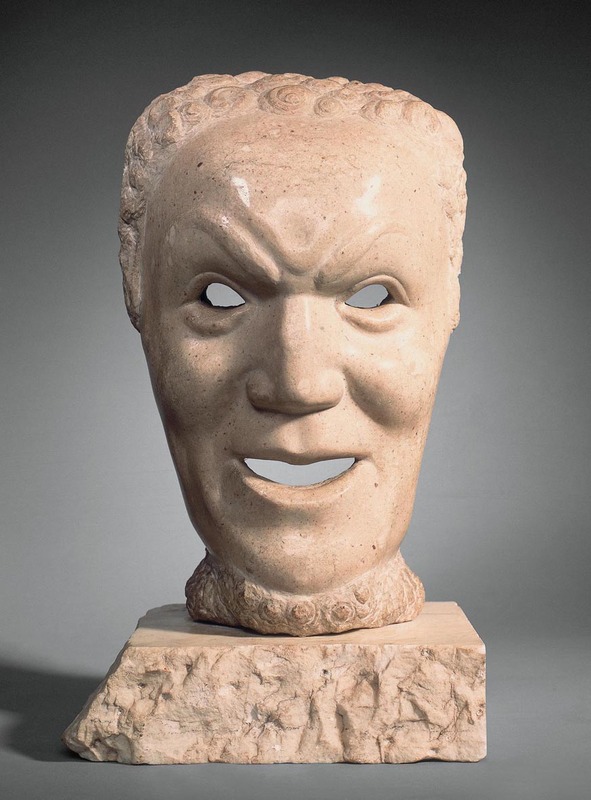 As one of a number of refugee and emigre artists who moved to Australia during and after the Second World War Karl Duldig’s sculpture reflects the introduction of Modernist principles into Australian art as well as an appreciation of non-Western sculptural traditions. Both in their private and teaching practice Karl and Slawa conveyed these principles and styles to an often initially reluctant public. 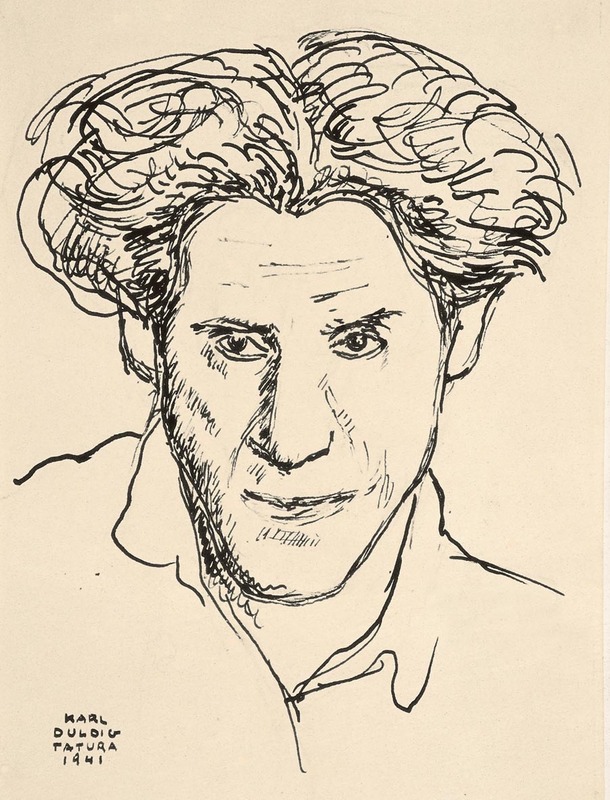 Karl stands alongside other artists of note such as Ludwig Hirschfeld Mack, Hans Knorr, Andor Mezaros and Tina Wentcher who also made Australia their home at this time. 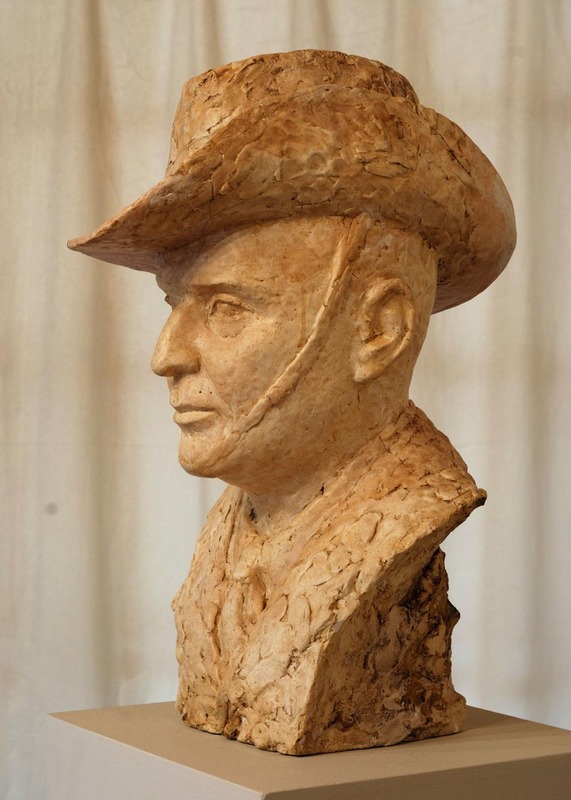 He contributed to the development of his profession through his involvement in professional associations such as the Victorian Sculptor’s Society (President, 1977) and the Bezalel Fellowship of Arts (Founding President, 1964). 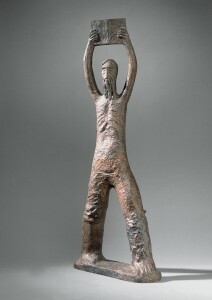 The Studio holds key works from this period such as Moses, 1956, bronze (1979) which won the VSS Victorian Sculpture of the Year Award in that year and was acquired by the National Gallery of Victoria. 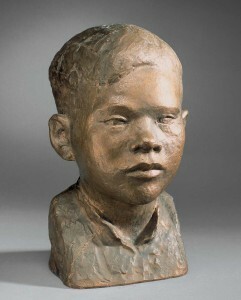 The artist later cast this sculpture in bronze and this cast remains in the collection. 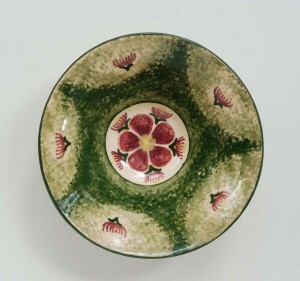 The collection of Duldig domestic pottery, such as Karl and Slawa Duldig’s Gumnut bowl c.1948, glazed earthenware, was sold alongside the work of the Arthur Merric Boyd Pottery at the Primrose Pottery shop in Melbourne and is representative of the move to handcrafted ceramics popular at this period. Karl’s Café Scheherazade series of drawings (early 1960s) are a significant record of a particular time and place in Melbourne’s cultural life, documented by his daughter Eva in Scheherazade Restaurant – 35 years in Acland Street (1992) and in Café Scheherazade (2003) by Melbourne writer Arnold Zable. 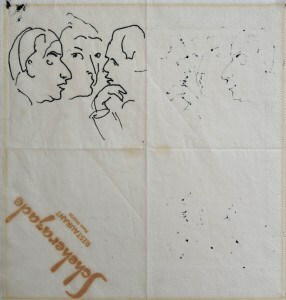 Karl Duldig, Three faces from Scheherazade, c. 1962, pen and ink on serviette, 34 x 34 cm.